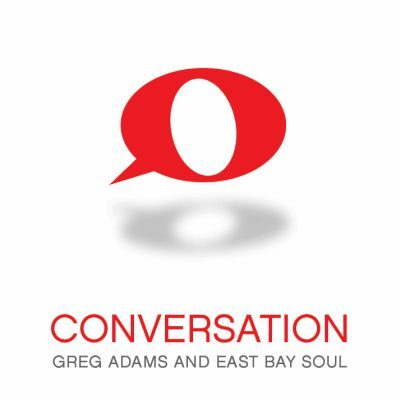 Greg Adams is the driving force behind East Bay Soul. The expansive ensemble is a blend of Funk Jazz, R&B and Soul. East Bay Soul with a most soulful ensemble creates a union that has been nothing short of musical wizardry. Their extraordinary combined talents all bring incredible energy to the music with heart and soul. East Bay Soul is dedicated to a singular vision of bringing their brand of funk and the magic of their live performance into every note they play. The combined musical pedigree of East Bay Soul reads like a who’s who’s in pop culture. Pick up a record, album or CD from any genre of music; R&B, soul, rock or contemporary jazz, one or several of the East Bay Soul members is most likely on it! With the benefit of vision, musical “know how” and the insight that comes through genuine affection, respect and friendship and you have a recipe for making memories and some primetime music history. I just wanted to say that my wife and I loved your Sunday night (Father’s Day) show at Rams Head in Annapolis. We have seen your last two shows there and intend to see EBS every time you come to town. What a fun and professional show. You are truly world class musicians at the top of your craft. I spread the news about how good you are when ever I get the chance. I have bought a couple of your disks and enjoy them on my IPOD.I wish you guys the best and hope you come back soon. Thanks. Thank you East Bay Soul for an OUTSTANDING show! Redondo Beach was T-Totally rocking last night!! Someone said, “I didn’t know they were THAT good!” Well, the truth of the matter is this band is DAMN good!!! TRUE FUNK SOLDIERS help spread the word about EAST BAY SOUL!!!!! !